Washing and waxing your car is very essential to protect its paint and surface from scars and damage. Wax is also corrosion resistant and can prevent your car from ugly stains also. But washing and waxing your car properly is a skill, it takes expertise to perform this job. Using appropriate brushes, detergents and other chemicals matter a lot. Your car when runs on the road not only get dirty with deposition of dust and sand particles but now-a-day polluted air makes your car dirtier than you can think. 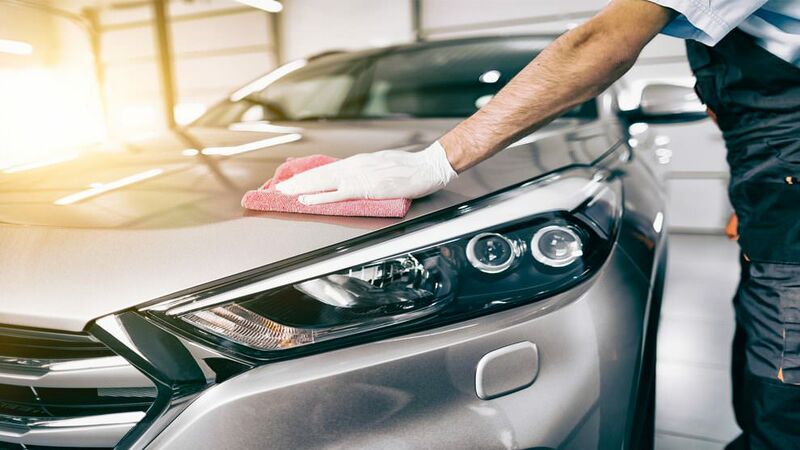 An invisible layer of industrial chemicals, harmful aerosols, decayed bugs and leaves and much more covers your car, which needs to be cleaned properly to protect your car from damage. So select proper PH of detergent and soft brushes to scrub the surface of a car. Go for mild detergents otherwise, H or OH ions can also destroy pain of your car. Use different lather producers for different components of a car. Metallic part and leather parts are to be dealt with differently while cleaning. Every part of your car deserves equal attention. Your negligent cleaning can leave foggy headlights or detergent paste in the small cracks of car making them more visible and ugly. On the other hand, using the wrong cleanser for car seats and other fabric or leather part can create yellow on them or can cause stains. You can use stiff brushes for carpet or rug to make them clean. You could also use a Vacuum cleaner to reduce dirt before washing these rugs. Use handy compressed air duct cleaners to clean dirt and dust from nooks of the car. You can also use these cleaners to absorb dust from seat covers. Your wrong choice of chemical for cleaning tires can cause damage to the rubber. Use soft brushes or cotton cloth and non-acidic detergents for tires. Car waxing is also very important, so repeat this process at short intervals. Regular car wax will improve the surface of your car. All you have to do is, you have to purchase the right Car wax kit for your car. Your kit may include the Orbital buffer, Buffing Pads, Wax, Polish, and Microfiber cloth. Start with buffing, apply a good amount of buffer on a car, buffer helps to heal cracks in paint and bring fresh paint and deplete the old unsettled paint. Then you can polish your car, apply wax with appropriate brushes and dry it. Taking care of your car is as important as taking care of your own self. Regular washing and waxing can prevent you from heavy expenses to maintain your car later.